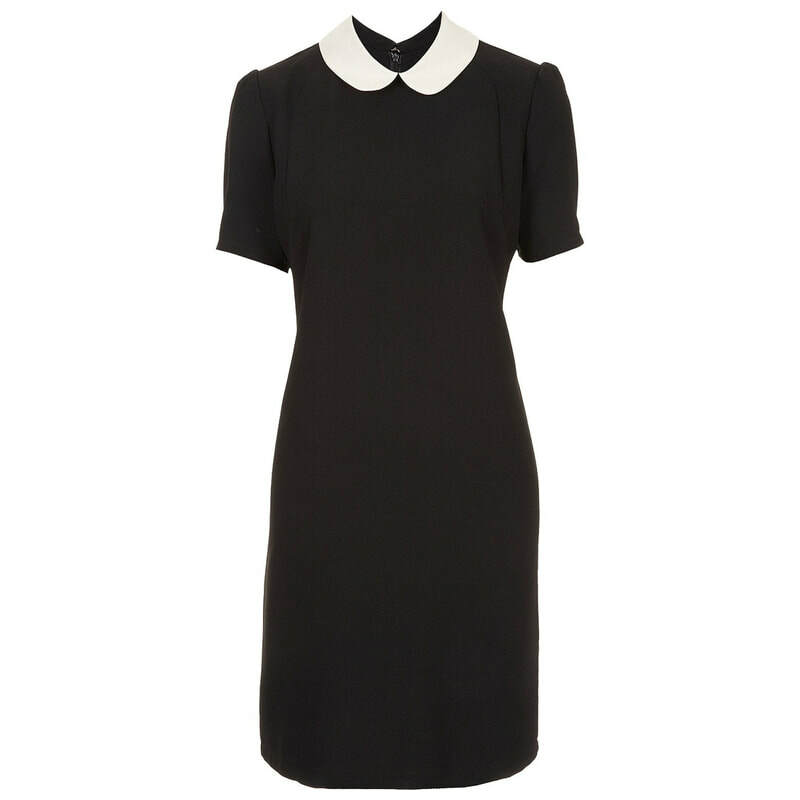 The Duchess of Cambridge wore this Topshop black contrast collar dress when she accompanied Prince William to the Child Bereavement Centre headquarters in March 2013. She wore the dress under a collarless Goat 'Redgrave' coat and paired it with her Episode 'Angel' pumps. 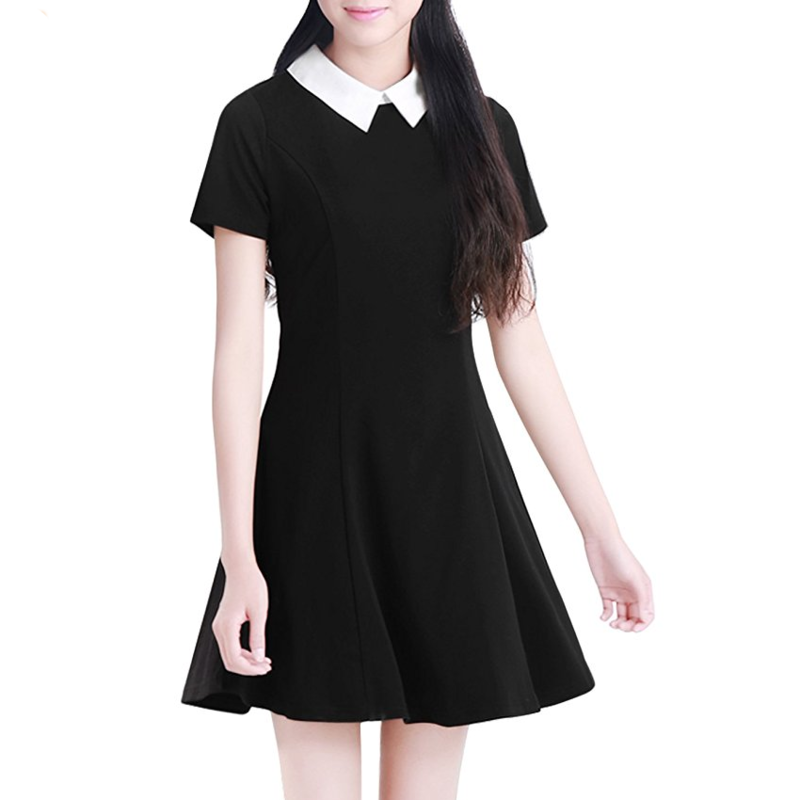 This black short-sleeved shift dress is topped with a white Peter Pan collar. 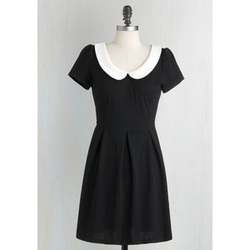 It is from Topshop's 2012 Fall collection. 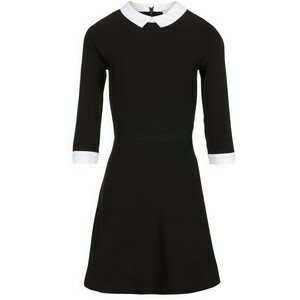 STYLE FILE: Topshop Black Contrast Collar Dress as seen on Kate Middleton, The Duchess of Cambridge.